Snow-covered mountain resorts are particularly magical at the holidays, and they go all out. Stowe, Vermont An idyllic New England town, Stowe is a winter wonderland. The streets of historic downtown come to life during the holidays with a local artisan market. From candy cane-making demos to the annual winter-themed ice carving, there is plenty to do off the mountain. Catch a holiday concert at the Spruce Peak Performing Arts Center or take the kids to a community screening of It’s a Wonderful Life. Ring in the New Year with Stowe’s on-mountain Torchlight Parade and Fireworks Show over Spruce Peak. Vail, Colorado: Vail’s Holidays are held from November 29th through December 31st. The festivities kick off with the annual Kris Kringle Market, an outdoor market featuring 34 local and regional Colorado vendors, where travelers can pick up unique last minute gifts. On the evening of December 17th, join the Mayor and take in the Town of Vail Tree Lighting by the Covered Bridge, while the Vail Children’s Choir sings. On December 22nd, Vail Winterfest Ice Theater hosts their Grand Opening Celebration. Ice Sculptor Paul Wertin creates oversized ice chairs where travelers can kick back and relax while enjoying film projects, such as How the Grinch Stole Christmas. On New Year’s Eve, ski instructors and locals form a glowing train down the mountain, while fireworks bring in the new year, lighting up Vail’s iconic setting. Other activities include ice skating, lantern making, holiday sweater runs to burn off some extra calories and children’s cookies and tea parties. Whistler Blackcomb, Canada Dress like Santa and Ms. Claus and ski for free on the annual Santa Ski Day, this December in Whistler. The first 75 guests to arrive at the Garibaldi Lift Company dressed in holiday garb will be awarded a free lift ticket. The iconic Fire & Ice shows light up the town every Sunday evening as skiers and snowboarders hit a big air jump through a ring of fire. The 34th annual Christmas Eve Carol Service takes place at the Westin Resort and Spa, bringing to life the story of the birth of Christ along with traditional carols and music. In addition, children can ice skate with Santa throughout the holiday season at the Whistler Olympic Plaza. Kitzbuhel, Austria An ultimate holiday destination for skiing and festivities, the town of Kitzbuhel transforms into a Christmas market and winter wonderland from November 30th through December 26th. Featuring traditional Tyrolean crafts, food and traditions, the market celebrates the holidays with a variety of musical acts featuring local choirs and musicians, Christmas readings, petting zoos and pony rides for the children. On January 1st, thousands of locals and visitors ring in the New Year with a torch skiing and flame jumping show, complete with the 64th annual fireworks show put on by fireworks champion, Armin Lukasser. Squaw Valley, California: The holidays kick off in Squaw and Alpine Meadows on December 16th with the Opening Ceremonies. The Ceremonies include a glow stick parade, lead by the one and only Santa. The parade meanders through Squaw’s “Ye Olde Christmas Village” and the “Merry Wonderland” (a transformed Olympic Village Lodge). Check out the Ice Garden and performances by the Truckee Tahoe Community Chorus. Participants will also enjoy the “Taste of Squaw,” where local dining establishments provide free bites of signature items. Santa continues his visits throughout the week, stopping at the Merry Wonderland, the Ice Garden, Village at Squaw Valley and Alpine Meadows. On December 21st, visitors can enjoy a concert put on by the Squaw Valley Institute featuring blues-infused covers of classics by likes of BB King, Kat King Cole, Otis Redding, Eric Clapton and more. Other festivities include Ugly Sweater parties, brunch with Santa and skiing with Santa on December 25th. Innsbruck, Austria: From mid-November through early January, the capitol of Tyrol is awash with Christmas festivities. The neighborhood of Alstadt features popular Medieval houses on the narrow Kiebachgasse street. Brothers Grimm characters peer down from the widows and tickle the imagination of children and the young at heart. Vendor booths are laden with festive goods like gingerbread, wooden toys and hand-blown ornaments. Every day at dusk, trumpeters perform traditional carols on the 500-year-old Golden Roof. Don’t miss Kiachln, a traditional Advent doughnut served with hot cranberry sauce. Take a ride up the funicular to Hafelekar, located just outside of Innsbruck to enjoy the twinkling city below. Sun Valley, Idaho The birthplace of skiing in the U.S., Sun Valley, Idaho is a small town with five-star amenities, but without the crowds. Christmas festivities start early with the annual Tree Lighting Ceremony on December 16th. Santa will be present, as well as the Sun Valley Carolers, an ice carving demo and free cookies and hot chocolate. Carolers perform daily performances throughout the Sun Valley Village and at various Sun Valley restaurants through the holidays. A European-style open-air market on the Sun Valley Lawn features vendors and holiday goodies. On Christmas Eve, enjoy the Winter Wonderland Ice Show while warming up with free hot chocolate and fresh-baked cookies at the Lodge. Don’t miss Christmas Eve fireworks and a sky-illuminating torchlight parade down Dollar Mountain. Take sleigh rides to Trail Creek Cabin for dinner or amble down Main Street in Ketchum, lit up with a festive holiday gallery walk and festive decorations on all of the beautiful lodges. Aspen, Colorado: The 12 Days of Aspen usher in the holidays in Aspen, Colorado. On December 20th, kids can make their parents a special gift at the St. Regis, while LeAnn Rimes will perform at the Belly Up that evening. The following day, Santa will be at the Winer Wonderland with his live reindeer. Come meet St. Nick and enjoy free hot cocoa and cookies while getting your picture taken. Santa will also be conducting sleigh rides throughout the 12 Days through town with Mrs. Claus; visitors can reserve spots in advance to take a ride. During the afternoons the spirited Hotel Jerome will be hosting carolers for visitors and locals alike. On the 23rd, everyone’s favorite characters from Peanuts come to life at the Wheeler Opera House with a presentation of A Charlie Brown Christmas. And finally, on the 31st, ring in the New Year with an astounding fireworks show over Aspen Mountain. The Infamous Stringdusters will cap off the evening with a performance at the Wheeler Opera House. For assistance making travel arrangements, visit Ski.com (you can do an on-line chat with a specialist) or call 800-908-5000 or 970-429-3099. Colorado Ski Country USA (CSCUSA) member resorts are offering Kids Ski Free programs across the state. Parents and families can take advantage of free and discounted lift tickets for children, specialized lessons and rental discounts to plan a ski vacation experience that won’t break the bank. For example, Colorado Ski Country USA has a 5th and 6th Grade Passport Program which offers fifth graders the chance to ski or ride three days at 22 participating member resorts across the state absolutely free. That’s up to 66 free days on the slopes. Fifth graders who have never skied or snowboarded are eligible for the First-Class program which provides never-ever skiers and riders one free full-day beginner lesson and equipment rental at the resort of their choice. All Passport holders also receive one complimentary junior rental from Christy Sports. The corresponding 6th Grade Passport Program offers four days of skiing at the same 22 resorts for only $105 before November 30, or $125 through the end of the season. To register for the Passport Program visit:www.coloradoski.com/passport. Kids Free 2 Ski Pass: Children five and under ski free every day at Arapahoe Basin with a free Five & Under lift ticket from the ticket window. Children ages six to 12 can ski or snowboard for free any two days of the 2017-18 season with no blackout dates through the Kids Free 2 Ski Pass. Register online, at a Front Range ski show or at the mountain by December 18, 2017. For more information, visit www.arapahoebasin.com. Kids Ski Free: Children six and under always ski free at Aspen Snowmass. For children ages seven to 12 years old, Aspen Snowmass allows kids to ski free when booking two or more nights of lodging through Stay Aspen Snowmass or renting children’s ski or snowboard equipment from Four Mountain Sports. There is no limit on the number of days children can receive free lift tickets when renting from Four Mountain Sports. The offer is valid January 1 – April 15, 2018. Mention kids ski free when you call 800-290-1326 or visit www.aspensnowmass.com for more information. Kids Ski Free: Children five & under always ski free at Cooper, and children six to 14 receive a discount on their daily lift tickets. Cooper also offers children’s group lessons, with several levels of instruction for age and ability, that include rentals for affordable rates. For more information, visit www.skicooper.com. One, Two, Free! With Copper Mountain’s One, Two, Free! Package, kids 12 and younger ski free with the purchase of an adult two-day lift ticket. The deal also includes additional perks like a third night of lodging free, a third day of rentals free, a free half-day ticket on the day of arrival or departure, and free upgrade to the Secret! Pass for early access and shorter lift lines. Children five and under always ski/ride free at Copper Mountain. For more information, visit www.coppercolorado.com. Kids 12 and Under Ski Free: Children six and under always ski free at Crested Butte. All kids ages 12 and under visiting Crested Butte Mountain Resort Nov. 23 – Dec. 15, 2017 and Apr. 1 – 8, 2018 ski or ride free. No strings attached, no parent ticket required, no lodging stay required, no advance reservations, just a free ticket for kids. For more information, visit www.skicb.com. Kids Ski Free: Kids five and under ski and ride free at Echo Mountain. The ski area also offers ski or snowboard package rentals for only $29 for kids, plus specialized private and group lessons for kids through Utivity. For more information, visit www.echomountainresort.com. Season Pass Deals: At Eldora, kids age five and under can purchase an alpine season pass for only $29. For more information,visit www.eldora.com. Kids Ski Free: Kids five and under ski free. 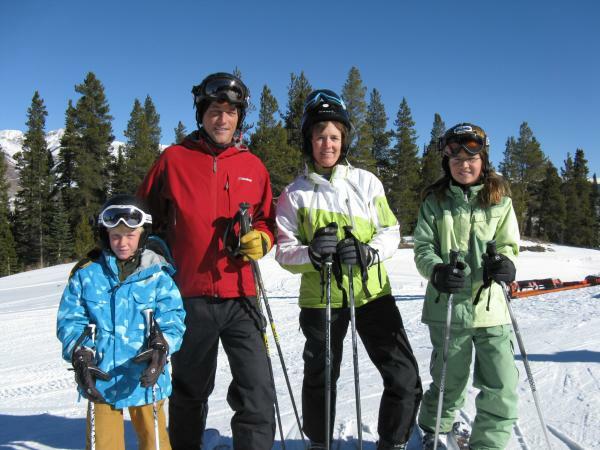 Granby Ranch also offers child’s ski or snowboard rental packages for only $15 per day. For more information, visit www.granbyranch.com. Kids Ski Free Every Day Deal: Guests seven years old and younger get a free lift ticket every day, with no blackout dates. Just ask for the Ski Free Every Day deal at the ticket window. 4th Graders Ski Free: 4th graders (with report card) get a free lift ticket every day, with no blackout dates. Just ask for the Ski Free Every Day deal at the ticket window. First Time; Free Lessons: Hesperus offers first-timers ages seven and older up to three free lessons with the purchase of one full-day, full-price lift ticket for $39. Available every day. For more information, visit www.ski-hesperus.com. Kids Ski Free: Children five and under ski free every day at Loveland. Children five and under can also purchase a ski or snowboard package equipment rental for $12. 3-Class Pass for Kids is for all children, ages four to 14, of all ability levels. When guests pre-purchase or complete three full-day lesson packages, they receive a free unrestricted season pass to keep practicing their skiing or snowboarding skills for the rest of the season. Children’s full day lesson packages include a lesson, lift access, equipment rentals (ski or snowboard), helmet and lunch. For more information, visit www.skiloveland.com. Kids Ski Free and Free Lessons: Children six and under ski free at Monarch. Children between the ages of seven and 12 get a free lesson with the purchase of a lift ticket and a rental package. For more information, visit www.skimonarch.com. Season Pass and Lift Ticket Deals: Children six and under can purchase a season pass for only $94 during early-season promotions or $119 all season long. Or, kids six and under can go to the lift ticket window and pay only $18 for a full-day pass. Children 12 and under can purchase an EZ Rider pass for access to the beginner lift for only $12. For more information, visit www.powderhorn.com. Kids and 4th Graders Ski Free: Kids seven years old and younger ski free every day at Purgatory Resort. Fourth grade students also ski free at Purgatory with proof of grade. For more information, visit www.skipurg.com. Silverton Winter Sports Club: A local youth program, the Silverton Winter Sports Club provides a season-long introduction to big mountain skiing and backcountry snow safety protocols. While there is a small participation fee for families, the Silverton Winter Sports Club is funded almost entirely by donations, including the support of Silverton Mountain and the Brill Family. For more information, visit www.silvertonmountain.com. Kids & Grandkids Ski Free programs enable children 12 years of age and under to ski free the same number of days as their parent, grandparent, or legal guardian when the parent, grandparent, or legal guardian purchase a five-or-more day adult lift ticket. For season passes, one child (12 and under) is eligible to receive a free season pass with parent, grandparent, or legal guardian purchase of an adult Steamboat Season Pass. For more information, visit www.steamboat.com. Carefree Skier Season Pass: Children age five and younger can receive a free Season Pass to Sunlight Mountain Resort. Children five and younger can also ski free every day by visiting the ticket window for a complimentary daily lift ticket. Ski, Swim, Stay: With Sunlight’s Ski, Swim and Stay package, kids 12 and under ski free. Enjoy a full day on the slopes of Sunlight, a rejuvenating soak in natural hot springs, and a relaxing night’s stay at one of nine participating lodging properties. Packages start at just $99/night. For more information, visit www.sunlightmtn.com. Kids Ski Free: Free lift tickets are available at the Telluride ticket window for children ages five years old and under. Child lift tickets for children ages six to 12 are available online at discounted rates for two or more days of skiing when you purchase at least 48 hours in advance. Telluride also offers children’s ski school lessons divided into programs that offer age and skill specific learning experiences. For more information, visitwww.tellurideskiresort.com. Kids and Beginners Ski for Less: At Winter Park Resort, kids five and under qualify for beginner lift tickets for $10 a day or $30 for the season with no black-out dates. These lift tickets are intended for beginners only and grant access to the Galloping Goose chairlift at Mary Jane. For more information, visit www.winterparkresort.com. Tots and Children Discounts: At Wolf Creek Ski Area, the unrestricted season pass for Tots (children five and under) is only $54, while children ages six to 12 can purchase an unrestricted season pass for $385. For families looking for daily lift tickets, children ages five and younger can purchase a lift ticket for only $6. For more information, visit www.wolfcreekski.com. Beaver Creek Resort, Colorado, renowned as a world-class luxury family mountain resort, is opening a new 200-acre Red Buffalo Park for the 2017-2018 season – an incomparable family learning area at the top of the mountain with 13 trails dedicated to beginner and learning terrain, serviced by a new Red Buffalo Express Lift (#5), a new Cookie Cabin, Kids’ Adventure Zones, snow sculptures, and a Ski School Skills Zone. The new family and adventure learning area is designed to improve the experience for beginner and intermediate skiers and further establish Beaver Creek, part of Vail Resorts, as one of the world’s best luxury family resorts. Located at the mountain’s highest elevation, 11,440 feet, Red Buffalo Park provides 13 trails designated as a family learning area. At the heart of Red Buffalo Park, the new Red Buffalo Express Lift (#5), a high-speed quad, will improve the beginner experience by decreasing lift lines and providing a shorter, 4.3 minute ride to the top of the mountain. Red Buffalo Park amenities include Kids’ Adventure Zones, snow sculptures, Park 101 and Zoom Room terrain parks, and a dedicated Ski School Skills Zone on Upper Sheephorn trail. Beaver Creek Ski & Snowboard School students will have access to the new Cookie Cabin, a mountaintop refuge serving Beaver Creek’s famed, fresh-baked chocolate chip cookies daily. Unlike most beginner learning areas, Beaver Creek’s Red Buffalo Park is located at 11,440 feet, the highest point of the mountain. The gentle slope of the designated learning trails provides terrain fitting for beginner and intermediate skiers and riders, plus breathtaking panoramic views of the Gore Range. Guests can ride the new Red Buffalo Express Lift (#5), located at the heart of Red Buffalo Park, for quick access to all 13 trails. The new Red Buffalo Express Lift (#5) is named after the signature, beginner Red Buffalo trail, which provides incredible views of the Gore Range and is named after two signature peaks of the Gore Range, the Red peak and Buffalo peak. The new lift will reduce ride time by 50 percent, from 8.6 minutes to 4.3 minutes, and will increase uphill capacity by 75 percent. With the upgrade, all primary lifts on Beaver Creek will be high-speed. Cookie Cabin: Guests enrolled in Beaver Creek Ski & Snowboard School will have access to the Cookie Cabin, located at the top of Red Buffalo Express Lift (#5). Serving up Beaver Creek’s famed, fresh-baked chocolate chip cookies all-day long, the Cookie Cabin provides the perfect rejuvenation during a day on the slopes. Sheephorn Ski School Skills Zone: Upper Sheephorn, a signature trail in Red Buffalo Park, is designated as a Ski School Skills Zone. The wide trail with sweeping views of the Gore Range is the perfect place for guests to refine their skills. After mastering the Sheephorn Skills Zone, guests can move on to explore the rest of the mountaintop terrain offered at Red Buffalo Park. Snow Sculptures: Explore Red Buffalo Park to discover various snow sculptures located alongside the trails. Watch as the sculptures grow in size throughout the season – guests might even see Beaver Creek’s master snow sculptor at work. Kids’ Adventure Zones: With banked turns, covered wagons, teepees and more, these fun areas are perfect to build confidence and challenge children’s skiing and riding abilities. Discover a sense of adventure on these runs designed just for kids within Red Buffalo Park. Jack Rabbit Alley: This is a perennial favorite for kids of all ages. This trail starts at the very top of the mountain and winds its way through the trees of Red Buffalo Park challenging advanced and intermediate skiers. Wild West Trail: A little bit of the Wild West built into Jack Rabbit Alley. Ski through a covered Calistoga wagon or explore the inside of a Native American teepee. Mystic Maze: A fun interpretive trail winding through the lower trees just off the Ski School Skills Zone. This is a great piece of terrain for intermediate skiers to explore and learn about the animals on Beaver Creek Mountain. Park 101: This beginner terrain park is great for people who are just learning the basics of freestyle snowboarding or freeskiing. The entry-level park contains small jumps, boxes, rails, and stall features designed for beginner riders and skiers to learn the basics of a terrain park. Zoom Room: An intermediate-level park designed to flow through a variety of different and unique features including boxes, rails, log-slides, stall features, and jumps. Zoom Room is the natural progression once skiers and riders get comfortable with the basics. Join partners from Walking Mountains Science Center and the United States Forest Service on a fun, engaging and complimentary tour of the beautiful natural surroundings here at Beaver Creek. Come learn more about the forest around you including wildlife, plants, history and the mountain ecosystem in winter. The tour will meet every Monday, starting December 11, at 1:30 p.m. at the top of Red Buffalo Park for an hour long educational adventure. Ability Levels 3 and up, open to all ages. Vail Resorts’ Beaver Creek Resort is renowned as a luxury family resort and for legendary attention to detail, World-Cup mountain pedigree, intimate alpine village, and reputation for world-class service. Just 30 minutes east of Eagle Airport (EGE) and 2.5 hours west of Denver International Airport (DIA), Beaver Creek offers luxury accommodations throughout three villages and ski-in, ski-out luxury lodges and hotels. More than 40 in-resort and slope-side restaurants, elegant village boutiques, cherished daily traditions and activities such as world-class downhill skiing and snowboarding spanning 1,832 acres with 3,340 vertical feet of descent, snow shoeing, Nordic skiing, and ice skating in the Beaver Creek village. Visit BeaverCreek.com for additional information and vacation planning. Skiing and snowboarding are sports that require some physical fitness, so start an exercise program for you and your family. Whether it’s enrolling kids in soccer or another sport, to taking walks together as a family, it’s important to get moving. Most resorts have mountain cams and temperature updates. Know what the weather and temperature is like on the mountain and where you are staying, so you can dress your child appropriately for conditions. At some resorts temps vary greatly from the town versus the mountain. For younger children getting used to putting on ski or snowboard equipment and clothing helps them adjust to the mountain environment more easily. You can make it a game and help them see their ski/snowboard clothes and equipment as something fun to play in versus something strange or bulky to wear. For older kids, it also helps to check to make sure everything still fits and is working properly before you arrive on the slopes. Having your kids learn from an expert can make their ski/snowboard experience more fun and also gives you time to enjoy the slopes. Set the expectation that the lesson is more like a sports practice than going to school and that they’ll have fun while getting to learn new skills. Use media to motivate your kids and set expectations of what their experience on the mountain and lessons will be like. There’s an array of ski and snowboard clips on YouTube to videos on the PSIA-AASI YouTube Channel here. You don’t have to spend a fortune on kids’ ski and snowboard gear. Just make sure they have a good snowsuit that’s wind/snow resistant along with goggles, long socks pulled up below the knee, snow gloves and insulated layers. If they become more involved in the sport then you can invest in wicking base layers and more expensive jackets when they will be out on the mountain for longer periods of time. Keystone Resort, one of the easiest major resorts to reach from Denver International Airport, one of the few major resorts that offers night skiing, as well as combined access to Arapahoe Basin with its lift ticket, is famous for its family-oriented Kidtopia programs. Keystone Resort offers a wide variety of comfortable and family-friendly lodging options, from affordable hotel rooms to welcoming, family-sized condominiums. Plus, an unmatched Kids Ski Free program, free daily events, and unique offerings and special events perfectly complement the more than 3,000 acres of skiing and snowboarding terrain. Keystone has long been the place where kids rule, and this year the resort’s unmatched Kids Ski Free program turns 5 (which just so happens to be the same age that kids can officially become a part of this awesome program). With more than 100,000free kids’ lift tickets provided to families since the inception of the program in 2012, there is a whole lot to celebrate as Kids Ski Free enters its fifth year. This year guests can look forward to free Kidtopia events and parties, including a special weekly birthday bash with Ripperoo, plus free skiing of course! Every day, all season long kids 12 and younger ski for free at Keystone with no blackout dates when parents book just two or more nights in one of Keystone’s numerous accommodation options, which span from affordable hotel rooms to family-sized condominiums. When it comes to family, no one does it better than Keystone! Having served as the original base area when Keystone’s founders, Max and Edna Dercum, first brought their family to the resort, this winter the Mountain House base area is ready to welcome a new generation of ski families to Keystone. Centrally located, the Mountain House base area offers an oasis for ski families and the perfect base camp for any ski day, offering smaller crowds, free and convenient family parking and an updated family restaurant concept. Plus, with free preferred parking just for families at Mountain House, it’s easy to get from the lots to the lifts, providing direct access to the resort’s family ski and ride zone, The Schoolyard. Families can also take advantage of conveniently located lift tickets, rentals and Camp Keystone – the resort’s kid-centric Ski and Ride School experience, where interactive displays, game-aided learning and a 24-foot slide that propels kids into their adventure on the snow will have little rippers begging to go back to “school.” When you’re ready to hang up the skis and boards for the day, relax fireside or continue the fun with Kidtopia activities that take place twice-a-week at Mountain House during Sunday’s Ice Cream Birthday party with Ripperoo and Wednesday’s Giant Snowball Launch. Keystone’s Kidtopia continues to redefine the family resort experience with free activities and events on and off the snow every day of the week starting Friday, Nov. 25. This winter Keystone presents the inaugural Kidtopia Mountaintop Spectacular, a weekend of festive on-mountain fun for the entire family. This free event will showcase a variety of activities and Kidtopia programs that make the resort a top destination for families, including nightly firework displays, a torchlight ski parade led by Keystone’s Ski & Ride School, and a mountaintop celebration where guests can enjoy free snow tubing, snowcat photo opportunities, live music, hot cocoa and fireside stories with Santa. Kidtopia will animate the mountaintop with Bigfoot adventure walks and a ski patrol-dog meet and greet, plus a special lighting ceremony of the world’s largest Snow Fort to create an unforgettable weekend. With the addition of the Kidtopia Mountaintop Spectacular, this winter season is bookended by two awesome Kidtopia events as the Kidtopia Experience returns for an extended week-long celebration. Start your family spring break early and be a part of all the kid-centric festivities and live outdoor music at the Kidtopia Experience, March 5-11. Keystone Resort’s executive pastry chef Ned Archibald welcomes guests for a unique behind-the-scenes glimpse into his world of decadent desserts and chocolate making at the resort. Take a break from the slopes one morning to experience these can’t-miss tours designed for kids (and parents), and meet the man himself, tour his chef’s workshop and make delicious treats of your own to take home. No golden ticket required; these Chocolate Tours are free to attend. Offered on select dates throughout the season. Schedule TBD. With Keystone’s enclosed River Run Gondola, mountaintop adventures like snowcat tours, snow tubing and fondue dinners are accessible to the whole family regardless of skiing ability. The Mountaintop Snowcat Tour is a must-do family activity that provides an exclusive glimpse of Keystone’s high-alpine bowls, where breathtaking views of the Continental Divide and surrounding mountain ranges await. Adventure Point, just steps away from the Kidtopia Snow Fort, features up to eight lanes of high-speed tubing action for kids and kids at heart. To cap off an evening of mountaintop adventure, guests can enjoy two gondola rides en route to Keystone’s North Peak, where Der Fondue Chessel offers an exciting and interactive dining experience for the whole family, complete with accordion-wielding musicians in lederhosen, all at 11,640-feet elevation. Whether your family is new to skiing and snowboarding or you’re seasoned snow veterans, those looking to develop new skills, improve technique or explore the mountain like never before can enjoy the Keystone Ski & Ride School’s Family Private Lesson together. Taking advantage of shared on-snow time, bonding is just an added bonus to these specially designed lessons. Private lessons can be reserved for up to six family members (or friends) of similar ability, and with instructors who specialize in working with the whole family you can rest assured that everyone’s ski and snowboard needs will be met on the snow.A family private lesson at Keystone is the perfect way to create memories together and take your shared passion to the next level, so this new product is a can’t-miss for snow-loving families. Keystone Resort’s more than 3,000 acres of skiable terrain, average of 300 days of sun a year, convenient lodging and variety of on- and off-snow activities all combine to provide the ideal location for winter vacations. 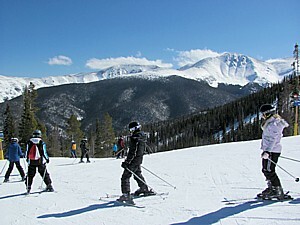 As one of the closest ski resorts to Denver, Keystone is the ultimate family resort destination. Convenient touches like free parking, including front-row family parking, and complimentary red wagons to help parents tote gear and kiddos to and from the slopes help make a winter family visit to Keystone easy and hassle-free. For more information visit keystoneresort.com. Intrawest Resort Holdings, Inc., the parent company of six North American ski resorts, is unveiling what it boasts is the most affordable and flexible multi-mountain ski pass available this season, The Intrawest Passport™. A key benefit? Up to five children 12 and under can ski for free on one adult’s pass. The Intrawest Passport™ is on sale now and is guaranteed at the fall introductory price now through October 20. The Intrawest Passport will only be available for purchase through November 15. Making ski-industry history, The Intrawest Passport™ (http://www.intrawestpassport.com) will offer children 12 and under free skiing, as well as redefine what a “Family Pass” is all about, by allowing groups of up to 16 to purchase the Passport at the heavily discounted price. This is the first winter for The Intrawest Passport™, a season pass that includes six days of skiing at each of six participating North American ski resorts. The Intrawest Passport™ only requires one adult pass to be purchased, which means a single parent and up to five children can all ski at six resorts, for a total of 36 days each for as low as $589. 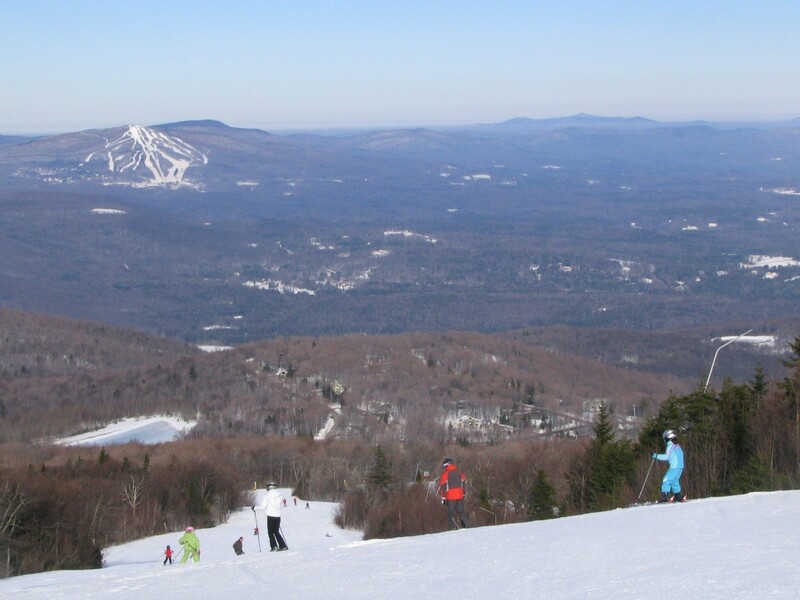 The pass can be used at Stratton, Vt., Steamboat and Winter Park in Colorado, Blue Mountain Ski Area, Ontario and Mont Tremblant Ski Resort, Quebec, and Snowshoe Mountain Resort, WV. “There is no other ski pass on the market that offers the flexibility and affordability of The Intrawest Passport™. We developed this inter-mountain pass to make destination skiing easier and offer more value for families this winter. This pass is a first of its kind in the industry as it changes the rules and allows up to five children, 12 and younger, to ski for free with the purchase of just one Adult Passport,” explains Bill Jensen, CEO, Intrawest Resorts. When one adult purchases the Passport it allows an additional 15 other people to join in on your ‘family pass.’ These can be traditional family members or people who are like family. The Intrawest Passport™ will allow guests to ski/ride for six days during the 2014-2015 ski season at each of Steamboat and Winter Park in Colorado; Blue Mountain in Ontario; Mont Tremblant in Quebec; Stratton Mountain in Vermont; and Snowshoe Mountain in West Virginia. Flexibility to define your “family” the way it works best for you. This can include extended family members, stepfamilies, non-traditional families and even good friends that are like family. Extended age for “Teen” Passport: allows teens and young adults through age 20 to receive the discount. The Intrawest Passport™ only requires one adult pass to be purchased, which means a single parent and up to five children can all ski at six resorts, for a total of 36 days each for as low as $589. January is Learn to Ski and Snowboard Month and Colorado Ski Country USA (CSCUSA) resorts are offering deals to entice kids and adults to come to the mountains and give skiing and snowboarding a try, sharpen their skills or pick up a new discipline. In addition to CSCUSA’s First Class program, which provides a free beginner lesson and equipment rental to qualifying fifth graders in January, resorts are offering significantly discounted lessons and Learn to Ski and Snowboard packages that include lift tickets, equipment rentals, and lessons taught by highly trained professional instructors. Good for kid or adult first timers only, the Super Sunday Special package includes a lift ticket, equipment rental, and a beginner lesson. Guests who purchase a Super Sunday lesson will be entitled to discounts on future lessons. Prices for adults are $99 for skiing and $107 for snowboarding, while prices for kids are $79 for skiing and $84 for snowboarding. The items in these packages can be purchased individually; Super Sunday lessons will be $59. Adult ski rental: $20; adult snowboard rental: $28; kid ski rental: $10; kid snowboard rental: $15; Beginner-area lift tickets are $20 for adults, $10 for kids. 2014 Super Sunday Dates are January 5, 12, 19, 26; February 2, 9, 16, 23. Valid for morning, half-day lessons only (10am-12:30pm). Guests are matched up with instructors who learn the guest’s ability level and goals during a Black Mountain Express chairlift ride. During one run down the mountain on terrain accessible from the Black Mountain Express lift, instructors coach relatively minor movements that make major improvements to guests’ skiing. Sign-up is day-of, first-come, first-served from 10:00 am – noon. 2013-14 Dates: December 7, December 15, January 4, January 26, February 9, March 9. For more information, visit www.arapahoebasin.com. Learn the basics of skiing or snowboarding from professional instructors who practice a teaching method that promotes peak performance and confidence and educates about the right equipment and mountain awareness. Available at Snowmass and Buttermilk every day, this program is best for adults who are first time beginners or who are only comfortable on beginner terrain. Lessons start at $199 inclusive of lift ticket, equipment rental, and full-day lesson when booked at least seven days in advance. For Kids & Teens – Experienced professional instructors share their wealth of knowledge and instill an appreciation for the mountain environment. Their passion is contagious and kids enjoy perfecting their skills while they develop a love for the sport. Beginners learn in a supportive and fun environment while developing confidence and life skills. They will explore the mountain, try new skills, terrain and snow conditions based on appropriate skill development and experience the thrill of the pipe and park and/or race course with expert coaches. Available at Snowmass and Buttermilk every day, kids will be in groups with other kids or teens of similar ages. Lessons start at $111 for a full-day lesson when booked at least seven days in advance. For more information, visit www.aspensnowmass.com/schools. All season long beginners can access and learn for free on the Easy Rider carpet located in Center Village. Once basic skills are learned, a ticket for the Pitchfork chairlift is $15, allowing beginners to master getting on and off the lift while perfecting turning and stopping. This past summer the Woodward at Copper Barn underwent a half-million renovation project which opened the door far beyond snowboards and skis to now include skateboards, BMX and slopestyle mountain bike . All synthetic snow surfaces were replaced with a surface designed for wheels. Families and amateurs alike are invited to experience the renovations expanded offerings for never-evers with additions including a new beginner foam pit with two-foot and four-foot jumps, a pump track designed for the development of park skills, and new programming to bridge the gap and see results on snow. For more information, visit www.coppercolorado.com. $59 Beginner Ski or Ride Package. For Learn to Ski Month this January 2014, Crested Butte Mountain Resort is offering a $59 beginner ski or ride package. The package is available for adults to learn how to ski or snowboard at a 63 percent discount. This package is for first-time skiers and snowboarders, age 15 and up only. It includes an Adult First Time Beginner Adventure Ski or Snowboard lesson and a 1-day adult lift ticket valid for limited lift access on the day of the lesson. Participants can also receive a 50% on rentals when they redeem their Liftopia voucher at the Adventure Center. Visit www.skicb.com/learn for more information and to book this package through Liftopia.com. All children (ages 4-14) regardless of ability, who pre-purchase or complete 3 full day lesson packages, receive a free unrestricted season pass to keep practicing their skiing or snowboarding skills for the rest of the season. Children’s full day lesson packages include lesson, lift access, rentals (ski or snowboard) and lunch. Full day lessons are from 10am through 3:30pm daily. Phone reservations are available or register at the Loveland Valley between 8am and 9am. Pre-purchase price: $315 for ages 6-14 skiers & snowboarders (Includes Season Pass) $345 for ages 4-5 skiers (Includes Season Pass) (4-5 yr old program includes early drop off beginning at 8:15am). For more information, visit http://www.skiloveland.com. First-timer lessons at Monarch are conducted in a group setting and provide first time, basic, beginner instruction to get new skiers and snowboarders comfortable, moving and having fun on their equipment. Packages include all-day lift ticket, equipment and helmet rental, 2.5 hrs. of group instruction, and a snack. Lesson begins promptly at 9:30 or 11:30 and are $89 for new snowriders aged 7-12 and $99 for ages 13 and older. For more information, visit www.skimonarch.com. Powderhorn Mountain Resort and the Grand Junction Daily Sentinel join forces to bring back the Learn to Ski and Ride Season Pass Program for the 2013 – 2014 winter season. Designed for first time skiers or snowboarders ages eight and up, the Daily Sentinel’s Learn to Ski and Ride Season Pass program features three consecutive ski or snowboard lessons at Powderhorn Mountain Resort with the Intensive Series, which includes a full day group lesson with an hour break for lunch. Lessons run from 10am – 12pm and 1pm – 3pm and focus on weather precautions, changing snow conditions, etiquette on the mountain and the Skier/Rider Responsibility Code. Participants emerge from the series with a great foundation in their chosen snow sport, and are able to put new skills to the test on-mountain. Upon completion of the three-lesson program, participants receive a free season pass for the remainder of the 2013 – 2014 season. Cost for the program is $269 for youth and pre-teen participants (ages 8-17), $320 for adults (18+) and $299 for full time college students. 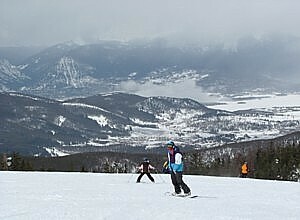 Visit www.powderhorn.com for a list of regular season rates and details on the Learn to Ski and Ride Pass pass program. Purgatory at Durango Mountain Resort is pleased to announce two new low cost packages during January 2014 for children and adults who want to learn how to ski or snowboard. The program includes two new packages plus a discount card for future skiing or snowboarding. The Basic Beginner Packages include full-day ski or snowboard lessons for adults/children, basic rental equipment, and lift tickets. Offered Jan. 6 – 31, 2014, the two-day package is $158, $100 off the regular price while the one-day package is $79, a savings of 39 percent. Upon completion of the 1-Day or 2-Day beginner packages, participants will receive a card good for discounts on lessons, lift tickets and rentals for the remainder of the season through March 30, 2014. These discounts are valid for use of the LSSM participant only and include lift tickets at $50 for adults, $40 for young adults, and for $30 kids; lessons are $39 for a half-day group lesson, $59 for full-day group lessons; ski or snowboard rentals are $20 for adult basic, $17 kids. Blackout dates apply: 2/15/14 – 2/16/14 and 3/8/14 – 3/15/14. For more information, visit www.durangomountainresort.com. For $199, complete two ski or snowboarding lesson days and graduate with a “Get On The Snow” season pass to Ski Granby Ranch, as well as a 20 percent discount coupon valid for a retail merchandise purchase. Get on the Snow is for level one, never-ever beginners ages 10 and up. This program is available from January 6 through March 6, 2014. Lessons do not have to be on consecutive days. Not valid with any other offers or promotions. No discounts offered for having equipment or passes. Black-out dates apply: January 17 – 20, 2014 and February 14-17, 2014. Reservations required. For more information, visit www.granbyranch.com. The Learn to Shine package includes three days of lessons, equipment rental and lift tickets. Plus, participants receive a free 5-Day ski pass once they’ve completed the lessons – all for $365. The three lessons can be taken on the dates chosen by the student, whether those dates are consecutive or not. Skiers and snowboarders that participate in the Learn to Shine program are matched with top-notch instructors that will have them navigating beginner terrain by the end of their first day. For more information, visit www.sunlightmtn.com. Learning to ski or snowboard is more fun as a family, and the Winter Park Ski + Ride School offers a great program that allows families to learn together, creating shared memories for one all-inclusive price. For $679 for a half-day or $859 for a full day a family of four gets four lift tickets, four equipment rentals, a private instructor, and access to all the amenities of the Private Lesson Center, including lockers, equipment storage, and a cozy lounge. For more information, visit www.winterparkresort.com. These package is ideal for those who have never skied/snowboarded before. The First Day package ($60 for skiers, $66 for snowboarders) includes an all-day lift ticket to the Nova Lift and four hours of professional instruction (from 10am to noon, and from 1pm to 3pm) for new skiers and snowboarders ages 9 and up. The Second Day package ($70 for skiers and snowboarders) includes an all-day lift ticket to the Nova and Raven Lifts plus two hours of professional instruction. This package is designed as a follow-up to the 1st Day Beginner Package, although the 1st Day package is not a prerequisite. For skiers and snowboarders ages 13 and up. Prices quoted for the First and Second Day packages do not include equipment rental. This four-week program (Saturdays only) is designed to introduce 5 to 8 year olds to skiing or improve on the skills they already have, all in a fun environment. Children are grouped according to ability and ski with the same children and instructor each week to foster socialization and friendship. Activities include terrain garden, fun races, and mountain safety. Lift ticket, ski rental, four hours of instruction, lunch and snacks are all included each week. $210 for season pass holders; $240 for non-season pass holders. For more information, visit www.wolfcreekski.com. Information about CSCUSA and its members can be found at www.ColoradoSki.com, on Twitter @ColoradoSkiUSA and on Facebook at www.Facebook.com/ColoradoSkiCountryUSA. The mountain slopes are crowded this season, and whether you are an occasional skier or snowboarder and don’t have your own equipment, or you don’t want to pay airline fees to transport them and want to use this opportunity to demo the latest equipment, you should consider making an online reservation so not to be disappointed about not being able to get the equipment you want. No matter if you are skiing in Vermont, Colorado, Utah or Maine, Christy Sports, a ski and snowboard retailer with more than 40 locations throughout the Rocky Mountains, has created a national network of affiliate ski rental shops that serves as a resource for booking ski and snowboard rentals. So no matter where you ski, the Christy Sports Rental Network can serve as a one-stop shop for coast-to-coast ski rentals and so you can ditch the hassle of airline baggage fees and hauling your own equipment. The best brands and equipment including: K2, Rossignol, Burton, Nordica, Salomon, Volkl, Lange, Ride and Dynastar are available through the network. When you make reservations more than 24-hours in advance, you can qualify for discounts from 10 to 20 percent off, depending on affiliate store location. The Christy Sports locations will also honor its Kids Ski-Free program, where one child under 12 receives a free rental package with the purchase of an adult 4-day rental package at Christy Sports and Door 2 Door locations. To make a rental reservation, visit http://rental.christysports.com/index.php. You can select your desired location to rent skis; once the store is selected, you can make an online reservation. From the resort that created Friends & Family Fly Free and the 100-Inch Special comes an offer so good it is only available for the month of January. Crested Butte Mountain Resort (CBMR) announces its $599 Fly, Ski and Stay deal, which includes a roundtrip flight into Gunnison/Crested Butte Regional airport (GUC), three days of skiing or riding at CBMR and a four-night stay at The Grand Lodge. CBMR has received 189 inches of snow so far this season and conditions are perfect for a post-holiday visit. CBMR’s $599 Fly, Ski and Stay deal must be booked by Jan. 31, 2011 for travel through Feb. 10, 2011. The offer is available for $699 between Feb. 11 and Apr. 4, 2011 (with the exception of Mar. 12 – 24, 2011). Prices are per person based upon double occupancy and taxes and fees are not included. Guests must fly into GUC on departure and return flights; this offer applies for select destinations based upon available airfare. For more information or to book this package contact Crested Butte Vacations at 800-600-2803, www.skicb.com. Colorado’s history has been punctuated by many notable events and happenings but none has been as fun-filled as the advent of skiing. Skiing arrived in Crested Butte 50 years ago this season and the resort is planning to make the most of this milestone. CBMR’s yearlong celebration of skiing and riding history in the Gunnison Valley includes the resurrection of time-honored events (many involving costumes – it IS Crested Butte, after all), community activities and the opportunity to honor prominent figures from Crested Butte’s past. For more information about Crested Butte’s lodging, conference, meeting facilities, and special packages, call Crested Butte Vacations, (800) 600-2803 or visit the web site at www.skicb.com.For information on ski area real estate opportunities call (970) 349-4999 or (877) 805-6109 or visit the website at www.cbliving.com. In Gunnison Crested Butte, Colo., family merriment and total relaxation abounds in 1880s-era towns that are rich in history, charm and friendliness (photo courtesy of Crested Butte Mountain Resort). Take winter fun to the next level, Rocky Mountain-style, in Gunnison Crested Butte, Colo., where family merriment and total relaxation abounds in 1880s-era towns that are rich in history, charm and friendliness, and there are Fly Free and Rent Free deals that make the trip wallet-friendly, too. Crested Butte Mountain Resort (CBMR, www.skicb.com) offers fun for all ages, even if you don’t ski! Of course there are plenty of options to cruise all levels of slopes on your own or with a guide/instructor, and skiing is free for kids age 6 and under. The Adventure Park is for all ages with a covered ice-skating rink, bungee trampolines, rock climbing wall and lift-served tubing hill. You also can tap into the magic of sleighride dinners to Uley’s Cabin pulled by a snowcat and daytime and moonlight snowshoe tours. There are skiing and snowboarding lessons for youth and adults at CBMR, as well as through Adaptive Sports Center (www.adapativesports.org) for family members with physical and/or cognitive disabilities. There’s also child care for the wee ones, not to mention Kid’s Night Out, available every evening from 4 – 8 p.m. for ages 4 – 12. Dinner and access to the Adventure Park and tubing hill are part of the Kid’s Night Out activities. During ski season, the Trailhead Children’s Discovery Museum will be open every day in the Outpost Building next to the Adventure Center from 10 a.m. – 5 p.m. Kids can enjoy an indoor playground, science experiments, art stations and several exhibits, with special events held every weekend at various times. Admission is $6 per person. For information and schedule of events, go to www.trailheadkids.org. The museum and Crested Butte Music Festivalare teaming up to offer a Kids Rock winter entertainment series especially for families with children between ages 2 – 9. The performances will be held on the four Saturdays from Feb. 19 – March 12. Charlie Hope (singer), Wise Fool (puppetry, theatre & more), Jim Jackson (clown) and Jim Cosgrove (kid rocker) are currently on the schedule.The series will take place at 4 p.m. in the Mountaineer Square Ballroom in Mt. Crested Butte, except the Feb. 26 show will be at the Crested Butte Center for the Arts. The cost is $5 per person for each concert. For more information, go to www.crestedbuttemusicfestival.com or www.trailheadkids.org. The Crested Butte Nordic Center has cross-country skiing, snowshoeing, ice skating and sledding all in one place. The Nordic Center grooms more than 50k of trails and offers instruction, equipment rentals and many events. Use of the outdoor ice rink and sledding hill are free, and a pass is required to use the groomed trails. Call (970) 349-1707 or visit www.cbnordic.org. If you’d rather not expel your own energy to get around and love horses and dogs, check out one of these great options. Board a horse-drawn sleigh at Lazy F Bar Ranch south of Crested Butte for a scenic, 35-minute ride to a rustic 1950s cabin overlooking the East River and indulge in a five-course meal. Visit www.lazyfbarranch.comor call (970) 641-0193. Head out with Fantasy Ranch Horseback Adventures for a one-hour ride in the Almont area. Halfway through the journey, warm up by the fire at Almont Resort with a cup of hot cocoa. Visit www.fantasyranchoutfitters.com or call 888-OUTFITT. There is nothing quite like being pulled by a team of dogs in the thick of mountain terrain capped with snow. Dog sledding with Lucky Cat Dog Farm is one of those lifetime experiences not to be missed. Visit www.luckycatdogfarm.com or call (970) 641-1636 for details about lunch tours and short tours. Enrich your mind at the Crested Butte Mountain Heritage Museum, where there are displays about local history, including skiing, ranching, mining, local personalities and more. The Mountain Bike Hall of Fame also is located in the museum, along with a gift shop that all ages relish. Just down the street, catch a concert or art exhibit at the Crested Butte Center for the Arts and take in a little theatre at a production presented by Crested Butte Mountain Theatre. Or get the creative juices flowing and paint your own pottery at The Pottery Place, which is part of The Studio Art School, which offers art classes for all ages. Must-stops for young families on Elk Avenue are Pooh’s Corner and Petite Lavish, and teens love sitting on the floor on pillows or beanbags to eat gourmet pizza at The Secret Stash and shopping for the latest sunglasses at Shades of Crested Butte and styles at Retail Therapy. Families looking for less-expensive lodging during the ski season or for an easy excursion from Crested Butte and Mt. Crested Butte, check out Gunnison, home of Western State College. Gunnison Valley RTA buses run several routes a day between Gunnison, Crested Butte and Mt. Crested Butte for only $2 per ride. Enjoy a day at the Gunnison Recreation Center’s entire facility for only $4 for kids ages 5 – 17 and $6 for adults; kids under 5 are free. There is an indoor pool with slides, rock climbing wall, gym, gymnastics room and game room. You are never too old or young to learn how to ice skate. The City of Gunnison Ice Facility at Jorgensen Park features three sheets of ice: an indoor NHL-size rink, outdoor Olympic-size covered rink, and outdoor frozen pond. The admission cost for the indoor rink is $3 for ages 18 and older, $2 for ages 5 – 17, and free for kids under 5. Skate rentals are $3 per pair. There is no cost to use the outdoor rink and pond. Check for public skate times at both rinks; the pond is dedicated to open skating. For the Rec Center and ice skating facilities, go to www.cityofgunnison-co.gov. There is outstanding Nordic skiing and snowshoeing along backcountry routes and groomed trails at Hartman Rocks Multi-Use Recreation Area west of Gunnison. This combined with VanTuyl Ranch, the Western State College practice field on campus and Jorgensen Park encompasses approximately 45K of trails groomed by the Gunnison Nordic Club. Rent equipment at Gene Taylor’s Sporting Goods or All Sports Replay. While downtown, don’t miss stopping by the Gunnison Arts Center. Younger kids also will request a stop at Circus Train while teens enjoy dining at Mario’s Pizza & Ristorante. Don’t miss sweet treats at Rocky Mountain Chocolate Factory in Gunnison and Crested Butte. When traveling by air to the Gunnison-Crested Butte Regional Airport (GUC) on United, Continental and American between December 16, 2010 and April 3, 2011, take advantage of Crested Butte Mountain Resort’s Friends and Family Fly Free deal. Buy two airline tickets and get the third free when staying in CBMR’s lodging properties for at least four nights. The maximum number of free tickets per itinerary is three (for a booking of nine tickets), and the maximum travel credit is $400 per free airline ticket. There are no blackout dates, but the offer is based on availability and can end at any time. This deal cannot be combined with any other offers and is valid only on new reservations. From Jan. 5 – Feb. 16 and Feb. 27 – March 10, 2011, Kids Fly Free on American Airlines when flying with a parent to GUC. The child must be age 12 or under, and his or her birthday is required in order to confirm the reservation. The adult purchasing the full-fare airline ticket is responsible for all taxes, fees and charges for the child’s airline ticket. This offer is subject to availability, and all travel (inbound or outbound) must be completed on or by March 10, 2011. Inbound travel from origin to Gunnison must commence between Sundays – Wednesdays; outbound travel from Gunnison to origin must commence between Mondays – Fridays. The minimum length of stay is two nights, and the maximum length of stay is 30 nights. Other restrictions may apply. For both Fly Free deals visit www.skicb.com and call Crested Butte Vacations to book at (800) 810-7669. Black Tie Ski Rentals of Crested Butte not only comes to where you are staying and custom fits equipment and picks it up when you are done, they are offering a Kids Rent Free special. With every paying adult (minimum two-day rental), one child age 12 and under rents for free. This deal is subject to availability. Call (970) 349-0722 or (888) 349-0722 or visit www.blacktieskis.com. To find out more, call the Gunnison-Crested Butte Tourism Association’s toll-free number (800) 814-8893 or visit www.GunnisonCrestedButte.com. Find the Tourism Association on Facebook at www.facebook.com/gcbtaor follow on www.twitter.com/gcbta. The Gunnison-Crested Butte Regional Airport in Gunnison is served year-round by United Airlines and during the winter season by American Airlines and Continental Airlines. Gunnison-Crested Butte is nestled among almost two million acres of pristine wilderness in southwest Colorado. Winter sports enthusiasts know the area for its world-class alpine skiing and snowboarding at Crested Butte Mountain Resort, snowmobiling, cross-country skiing, snowshoeing and ice fishing. Gunnison-Crested Butte is also a haven for outdoor summer activities. In the warmer months, visitors can choose from recreational activities such as hiking, climbing, mountain biking, boating, whitewater rafting, kayaking, fly-fishing, camping and horseback riding. Year-round visitors enjoy distinctive restaurants, unique shops and stimulating cultural opportunities, and have a wide range of lodging options — from rustic inns to guest cabins and bed-and-breakfasts to full-service resort hotels. Gunnison, county seat and a real western town, is home to the Gunnison-Crested Butte Regional Airport, Gunnison Whitewater Park, Gunnison Valley Observatory, Pioneer Museum and Western State College, which offers bachelor’s and master’s degrees in liberal arts and sciences and pre-professional fields. Both Crested Butte and Gunnison have thriving historic central business districts packed with shopping and dining opportunities. Recognized as the “Official Wildflower Capital of Colorado” by the Colorado Legislature and one of the National Trust for Historic Preservation’s “Dozen Distinctive Destinations” in 2008, Crested Butte is 28 miles from Gunnison and the site of rich mining, ranching and skiing heritage and home to the Crested Butte Mountain Heritage Museum and Mountain Bike Hall of Fame. Only three miles up the road is the resort village of Mt. Crested Butte, home to the ski area, an active base area, the area’s conference center, and outstanding hiking and biking trails. Marbleis located in the Upper Crystal River Valley along the Elk Mountains and is the gateway to nearby Crystal, home to one of the most photographed mill sites in the country.Marble has seven sites on the National Register of Historic Places and is the location of the Yule Marble Quarry. In Gunnison County, visitors will find the Curecanti National Recreation Area, where dinosaur fossils were recently discovered; the Blue Mesa Reservoir, Colorado’s largest body of water and home to the largest Kokanee salmon fishery in the United States; and The Black Canyon of the Gunnison, one of our country’s newest national parks. Gunnison County includes the quaint and historic towns of Pitkin, Gothic, Tin Cup, Marble, Powderhorn, Almont and Crystal, plus the better-known communities of Gunnison, Crested Butte and Mt. Crested Butte. Gunnison County is part of the West Elk Loop and Silver Thread Scenic & Historic Byways.